When something is built on an unstable foundation, it is only natural for its long term survival to be at risk. It is also natural for it to be in need of constant support just to keep from falling. The belief that it will eventually be able to stand on its own two feet causes people to lend their support, but only egregious fools continue to do so if there is no hope of its ever being independent, because in that case, everythiing those supporters have invested is doomed to be irretrievably lost. The Palestinian Authority is in exactly that position today and this article will expound on the reasons it has no hope of every being able to become a viable and independent entity. The prime reason for this situation is the very reason the PA was founded. In 1993, the Israeli government tried to find someone who would accept responsibility for eliminating the terror network created by the Hamas and Islamic Jihad movements in Judea, Samaria and the Gaza Strip, someone willing to be rewarded for anti-terrorist activity by being granted the authority to rule the area and administer the lives of the Arabs living there. This was the "deal" concocted by the Israelis, and the "contractor" who accepted the challenge was the Palestinian Liberation Organization (PLO) headed by arch-terrorist Yasser Arafat. The Israeli government actually believed that Arafat was serious about eliminating terror and establishing an autonomous administrative system for running those territories. Of course, this deal was doomed to failure from the start due to the residents of Judea, Samaria and Gaza and also the government of Israel. The Arab residents considered the Palestinian Authority (PA), the governing arm of the PLO, to be the operative arm of Israeli policy, an organization collaorating with Israel by means of the coordinated security system that exists up until this very day. "Security coordination" to the Palestinian Arab mind is a laundered word for cooperation, meaning PA security forces attempt to apprehend the terrorists that belong to organizations other than their own and hand them over to Israel. Many of the Arab residents of Judea, Samaria and Gaza see this as no less than treason. In order to cover up that perceived betrayal and silence its critics, the PA employs thousands in both real and artificial jobs (the kind where the worker does not have to do anything in order to be paid) . For the sake of earning a livng, people are willing to shut their mouths and utter not a word about what they really think of the PA and the reasons for its existence. No matter, members of the PA know exactly in what esteem the authority is held by the public. To combat this and in order to create legitimacy for themselves and the PA, they invented a national ethos whose purpose was establishing a state under conditions to which Israel could never agree: the "right" of return for millions of "refugees" to Israel and insistence on Israel's relinquishing Jerusalem. These impossible demands were raised knowing full well that Israel would never agree to them, and that there would never be a Palestinian Arab state, so that Israel could continue to remain the eternal enemy. Anyone who thinks that a Palestinian Arab state adjoining Israel would live in peace with it does not comprehend the basic tenet of the Palestinian dream - fanning the flames of Israel-hatred, encouraging terror against its citizens and blaming it for all the ills of Arab society. That is why - according to the PA media - Israel is the result of a European colonialist venture originating in Europe's desrie to rid itself of the Jews, the Jews are nothing but cosmopolitan communities with no homeland, Judaism is a dead, not living religion, the Jews have no history in the lands belonging to "Falestin." In addition, the Palestinian Arabs are victims of a Euroean conspiracy and their legitimate goal is to free all of "Falestin" from the "river to the sea." Therefore "peace" with Israel can never be more than a temporary ceasefire, with the final goal the destruction of the Jewish state. Over the past 25 years, more and more Israelis have begun to understand the failed "Oslo Accords" deal their government signed, and that is why the Israeli left, which engineered this fatal mistake, has gradually lost much of the public support it had during the initial euphoric period after the agreements were signed. The "Arab Spring" - which is more reminiscent of a wintery swamp filled with fire, blood and tears - helped the Israelis awaken from the dream of "a new Middle East" described in utopian terms by Oslo Accords master architect, the late Shimon Peres. Today, it is clear that all Yasser Arafat and Mahmoud Abbas wanted and Abbas still desires is the establishment of a Palestinian Arab state on the ruins of the Jewish one. It is hard to find any enthusiasm among Israelis for continuing to pump oxygen into the artificial entity known as the Palestinian Authority, whose only source of life is the money it gets from other countries and pours into salaries for its employees and the murderous terrorists serving sentences in Israeli prisons. 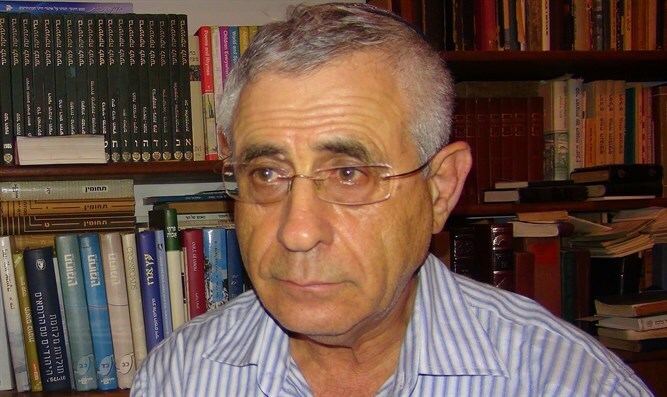 The second reason for the PA's failure is its lack of success in establishing a political entity with acceptable administrative norms, the kind whose existence is supported by the people's recognition of the importance of keeping the rules governing the political game, commonly known as "the rule of law." The PA created various systems and bodies meant for outside consumption only, while their actual existence lacks any substance whatsoever. For example: The PA has a voting system, and in 2006 it elected a legislature and president, both for four year terms. If the PA would keep its own laws, there would have been new elections in 2010, 2014, and 2018, every four years, and we would have observed political parties acting to build a power base during those four years - and possibly even witness a change of leadership. None of this ever happened. There were elections, Hamas won most of the seats in the legislature, but all that body's authority was stripped from it by the PLO, so that Hamas would not succeed in attaining any chance of control in the Palestinian Authority. In September of this year, the Hamas members elected to the PA legislature sent a letter to the UN Secretary General in which they demanded he not allow Mahmoud Abbas to speak before the General Assembly due to his not being the chairman of the PA anymore, since his term expired years ago, in 2010, and he was never reelected. Abbas heard of the letter and was enraged, accused the Hamas movement of pulling the rug from under his feet and then blamed the poor attendance at his speech in the General Assemly on that letter. To teach Hamas a lesson, he dissoved the PA legislature. 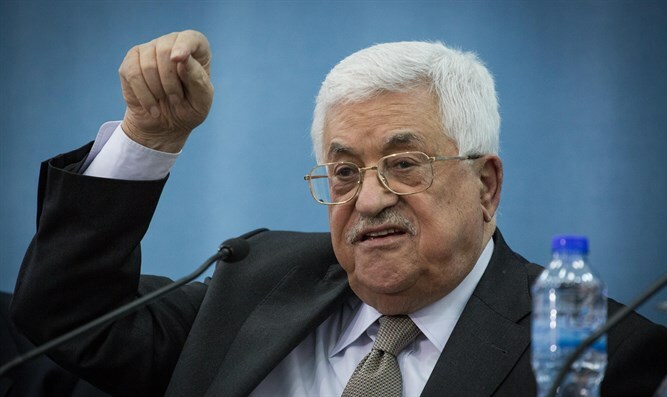 The elected chairman's term ended almost nine years ago, but PA leader Mahmoud Abbas extends his own presidential term annually by administrative decree. Do you get it? This is the system established by the "nascent state" because Israel, Europe and the US are in favor of it and will do anything - including stomping on the rules of the game - to keep Hamas from running the show. Is there any way for the Arab public to accept this as a legitimate way to play the game of running a government? Not a chance, so the PA, with its ridiculous rules and laws, is seen as an illegitimate entity by the vast majority of the Arab public residing in Judea and Samaria. Most of this public hates Mahmoud Abbas anyway, because his birthplace was Safed, a city not located in Judea or Samaria, and his two sons, Yasser and Tarik, spend their time stealing vast sums from the PA's dwindling public purse. The Hamas movement realized where the PA was headed back in 2007 and decided to take matters into its own hands by means of a violent takeover of the Gaza Strip. Hamas refuses to collaborate with Israel and continues the Jihad against it because without the anti-Israel Jihad, Hamas has no raison d'etre. The fact that Hamas runs the Gaza Strip prevents the PLO from realizing its dream, because Israel rightly fears that complete independence for the PA in Judea and Samaria means a Hamas takeover there on the lines of what occurred in Gaza. That is what lies behind Mahmoud Abbas' efforts to put down Hamas: He refrains from giving them the rehabilitation funding for Gaza granted them by various world donors, does not cover their fuel and electricity bills, and holds on to the salaries of PLO members in Gaza in order to keep the taxes on them out of the hands of Hamas. Is this not a betrayal of over one and a half million subjects suffering in Gaza under Hamas rule? The PLO is on the verge of ideological bankruptcy. On the one hand, it cannot control Hamas and force that Islamist movement to accept its agenda, while on the other hand, Israel is not exactly enthusiastic about helping it establish a state that will threaten the Jewish one. Accordingly, the PA Central Committee came out with a recommendation to cancel PA recognition of Israel and end security cooperation with Israel. This week the Central Committee repeated its demand to end all cooperation with Israel on matters of security and to cancel the economic agreements the PLO and Israel signed - those very agreements allowing the PA to function. These recommendations were designed to end the accusation hurled repeatedly by Hamas at the PLO, that of cooperation with the Zionist enemy, except that without security and economic cooperation with Israel, the PA is set to collapse within a few days. This no-way-out situation is about to bring the PLO and PA to a state of economic and ideoogical collapse, showing the world the utter failure that constitutes the Palestinian dream. What is the alternative? The Emirate Plan, as we have previously expounded on from this very podium. Written for Arutz Sheva, translated from Hebrew by Rochel Sylvetsky, Op-ed and Judaism Editor.